Last Updated: March 19, 2019 · Published: March 14, 2017 By: Asian Caucasian Leave a Comment This post may contain affiliate links or sponsored content. 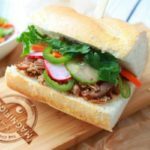 This not-so-traditional Vietnamese Bánh Mì sandwich is crazy delicious! Made with slow cooker pulled pork, this delish dish actually has Chinese Five Spice seasoning for the rub, making it not-so-Vietnamese either! You can make the pickled veggies ahead of time for the topping. 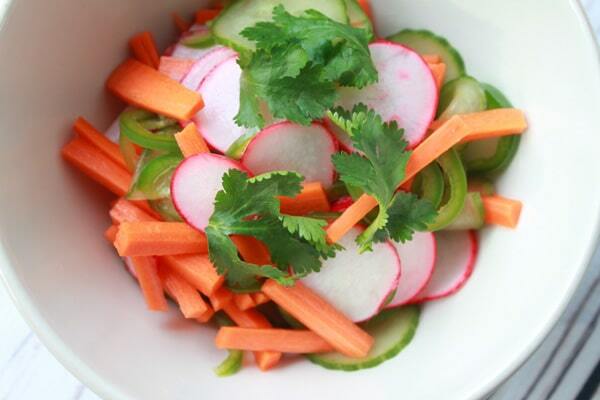 And, the pickled veggies make a great salad all by itself! Try serving this sammy open-faced for a twist, and to save some calories (I’m all about saving calories!). Or, go for the gusto and eat the whole loaf — it’s that good! Add the pork shoulder to a slow cooker and walk away for four hours! Pickled veggies are the crunchy topping to this yummy Bánh Mì sandwich! Place the pork in a large bowl and rub in the Chinese Five Spice until pork is completely coated. Let sit for 5 minutes. In another bowl, whisk together the soy sauce, hoisin sauce, honey, sherry, garlic, and ginger. 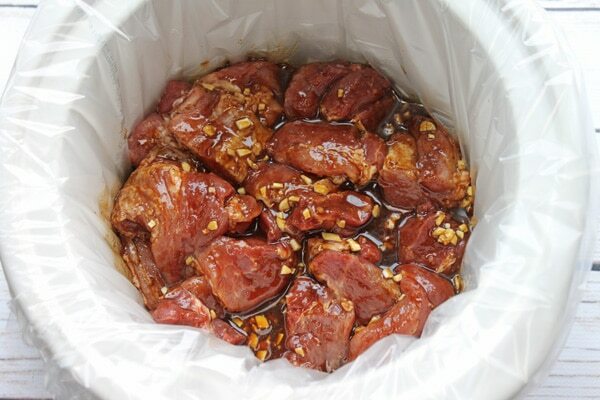 Place the pork at the bottom of a slow cooker and pour the mixture over the pork, tossing to coat. Cook the pork on high for 4 hours, or low for 8 hours. Stir halfway through. When the pork is finished, shred the pork with two forks, discarding any fat. Keep warm. While the pork is cooking, place the sliced veggies in a large bowl. Add 1 tablespoon salt and 1 tablespoon sugar to the veggies and stir to coat well. Let sit for 10 minutes to draw out the moisture. Rinse well and drain. In a small bowl, whisk together the vinegar, water, and remaining 2 tablespoons salt and 3 tablespoons sugar. Stir until dissolved. Pour over the veggies and set aside for at least 1 hour. To make the aioli: Combine 3 tablespoons sriracha sauce with 4 tablespoons low-fat mayonnaise. To assemble the Bánh Mì sandwich, slice the baguette in half and cut into evenly portioned sizes (about 3 inches). Spread the aioli on the bottom of the baguette. Layer with pulled pork, pickled veggies, and cilantro leaves.